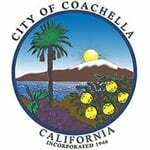 Coachella, California Car Accident Personal Injury Lawyers! 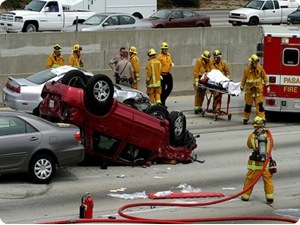 Car Accident Wrongful Death & Personal Injury Lawyers In Coachella, Riverside County, Calif! With Over 40 Years of Experience and Success Rate of More Than 95%! Coachella, Riverside County California car accidents can cause catastrophic injuries, fatalities with wrongful death claims and serious property damage to cars, trucks and motorcycles, sometimes even a total loss. Our car accident personal injury and wrongful death lawyers provides legal services for car accidents, auto collisions, other motor vehicle accidents and other serious personal injury and wrongful death claims for Coachella, Riverside County, San Bernardino, Palm Springs, Palm Desert and all of California. With more than 40 years of experience in handling car accident and other accident injury claims, we are a group of tenacious personal injury claims lawyers who are devoted towards obtaining the best results for our clients. Our Coachella, Riverside accident injury claims lawyers can help you with what to do if you or someone you care about are involved in a car, truck, motorcycle, pedestrian or any other accident injury claim. Vehicle Repairs: Coachella, California car accidents may cause serious damage to your car and other motor vehicles. Our Coachella, CA car accident lawyers and law offices help you with vehicle repairs including free rental, towing and storage repairs and when appropriate diminution in value post repairs or total loss replacement. Medical Care: In many car accidents, serious injuries are likely to happen requiring medical care and physical therapy. Our Coachella lawyers help our clients to find the required doctors and other medical specialists like orthopaedic surgeons, neurologists, psychologists, dentists, etc, including MRI and CT scans for our clients. These medical specialists provide all the necessary treatment usually without expecting payment until the case has been resolved as they want you to receive all the medical care you deserve even if you cannot afford to pay for it when received. Cash Advances/ Emergency loans: Car accidents can largely affect your financial state. Medical bills stack up, sometimes shaking your finances. Thus our personal injury attorneys will help you in acquiring emergency loans and advances, when required. Transportation to Doctor: Our car accident attorneys and law offices assist our clients in finding appropriate doctors, arranging appointments and, when needed, often arranging transportation for injured clients to and from the hospital, medical clinic and other doctor and physical therapy appointments. If you need help with transportation, just let us know. If you are a victim of a car or auto accidents with a personal injury in Coachella, Riverside, California contact us now for your FREE & CONFIDENTIAL car accident personal injury consultation. You may call us at 1.866 INJURY 2 or at 1.818-222-3400 (after hours just dial 1) or via internet 24/7 by just clicking here and fill-in our simple form to let us know about your car or auto accident case. Our expert accident injury attorneys offer an absolutely free legal consultation on accident cases and take our clients’ cases on a contingency fee basis. That is, you pay NO fee until your case is resolved. The amount that we charge is usually paid through the recovery money, which usually comes from the other parties’ parties or the insurance company. In other words, the claim is usually made against the other parties’ insurer, it is handled by their insurance company and paid by their insurance company. 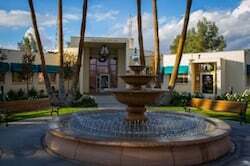 Known as the "City of Eternal Sunshine", Coachella City in Riverside County, California is the easternmost city in the region which is collectively known as the Coachella Valley. Largely a rural and agricultural community in the desert, Coachella is one of the state's fastest growing cities in the late 20th century. The eastern side of the valley is below sea level, and the area's average elevation is 68 feet below sea level. The Salton Sea, a saltwater lake located about 10 miles South of Coachella, lies 227 feet below sea level. The city also lends its name to the Coachella grape fruit. The town's stretch of State Route 111 is even named Grapefruit Boulevard in its honor. Near the city limits of Coachella are three casinos on Indian reservations: Fantasy Springs Resort and Casino, Spotlight 29 Casino, and Augustine Casino, which are owned and operated by Native American tribes. Famous film director Frank Capra, for example, It’s A Wonderful Life, is buried in the Coachella Valley Cemetery. In 2001 Huell Howser Productions, in association with KCET/Los Angeles, featured Coachella in California's Gold. If in case the injury occurred while working, then also pursuing all benefits permitted under California’s Workers’ Compensations laws. And any and all other appropriate damages and compensation permitted under California law. We have over 40 years experience successfully winning cases for our clients. We seek the maximum recovery for your case. We have recovered over $100 million dollars for our clients. Our entire law firm concentrates in handling Car Accident Injury Claims. This is the area of law that we practice. We have a success rate of our 95%! * If we do not think you have a good claim, we shall tell you and there is NO charge for our initial consultation on personal injury cases which is always FREE. We offer immediate assistance with cash advances and emergency loans when appropriate as we understand the many problems that result from serious injuries, including high hospital and other medical charges, being out-of-work, loss of income, etc. For an easy, free and confidential consultation, fill-in the details in our simple contact us form and fill us in on your Coachella, Riverside County CA car accident or any other injury claim. You can always send us an email 24/7 at info@WalchLaw.com. As you see we offer an absolutely FREE & CONFIDENTIAL consultation and case evaluation AND there is NO fee unless & until you win. We work on a contingency fee for our services on accident cases, which means there is NO FEE until You WIN, so you do not need worry about money!